I feel a sense of accomplishment at Cameco. "My team rocks. We work well together, and I truly believe it is mostly because we are positive and have a good sense of humour. My job is very challenging and continues to be challenging. It is always fresh. A part of my job that is really amazing is that I get to be heavily involved in employee safety. I really feel a sense of accomplishment at Cameco. It felt good to recently qualify as a technician, and the encouragement from Cameco to pursue more education and training made a big difference for me. Working for Cameco is the number one best opportunity with in a 100-mile radius of my home. It is by far the best for me and my family." As a health physics technician at Cameco's Smith Ranch-Highland mine, Kris monitors radioactivity throughout the mine site. The Smith Ranch-Highland mine is located in eastern Wyoming and is America's largest uranium mine. The environmentally friendly in situ mining process is used at this location, which produces uranium through well fields rather than open pits or underground shafts. Using injection wells, a mixture of water, oxygen and carbon dioxide is injected into a well to detach the uranium from the orebody. The solution is then pumped to the surface through a production well, where the uranium is then removed at the processing plant. Kris and his team work together to ensure all regulatory requirements set by the Nuclear Regulatory Commission are fulfilled. Kris surveys areas and employees to make sure they are free of radioactive contamination. He also trains other employees on how to limit their exposure and promote the "as low as reasonably achievable" mantra practiced at the mine. 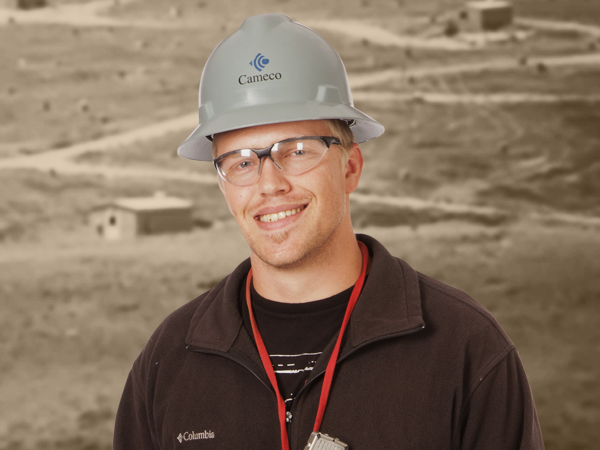 Kris started his career with Cameco in September of 2009 as a geophysical logger. Through encouragement to further his career and a desire to learn more, Kris worked hard to receive training to become a health physics technician. In addition to his regular duties, Kris also participates in the respiratory protection program. Kris and his team keep close to all occurrences at the mine, and they put employee safety and awareness at the top of their priorities.